In the Fall of 1996, as a student at Tougaloo College in Jackson, Mississippi, I took a course on Richard Wright with Professor Jerry W. Ward, Jr. The class concentrated on Wright's less-known works (Lawd Today!, Black Power, The Color Curtain, Pagan Spain, Savage Holiday, Eight Men, and The Outsider), which all been recently released in new editions. In retrospect, I was fortunate to have come along at a time when there was such renewed interest in Wright. course of the program while visiting the library I began regularly consulting a really helpful resource: The Oxford Companion to African American Literature (1997) edited by William L. Andrews, Frances Smith Foster, and Trudier Harris. 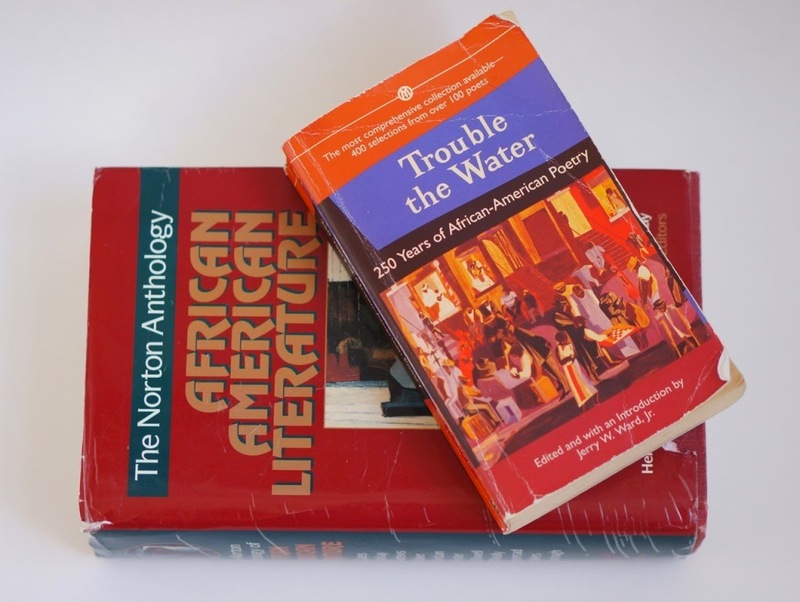 Later, I took an African American literature course that included Trouble the Water: 250 Years of African American Poetry (1997) edited by Ward and the first edition of The Norton Anthology of African American Literature (1997) edited by Henry Louis Gates, Jr. and Nellie McKay. Based on my encounters with the Wright "restored" editions, The Oxford, Trouble the Water, and The Norton, my initial sense of what it meant to be an African American literary scholar was to be engaged in editorial work. I wasn't into scholarly articles and books at the time. In my world, literary scholars produced anthologies or wrote introductions to books by noted authors. I "discovered" Maryemma Graham because she wrote the introduction to Wright's The Outsider. If, at the time, you asked me who Paul Gilroy was, I wouldn't have mentioned The Black Atlantic his most known scholarly work. Instead, I would have said, "oh, he's the guy who wrote the intro to Wright's Eight Men." Trouble the Water introduced me to more black poets than I had ever previously read. Here was m introduction to viewing black poetry as an expansive "tradition" and as an enterprise that included multiple poetic voices, not just 5 or 10 or 20, but many more. And then there was The Norton, which stood out to me because I was encountering extensive commentary about the release of the collection and its importance to the field of literary studies.